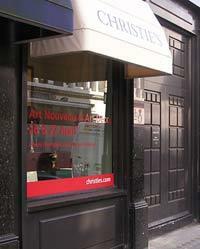 I have always enjoyed attending the Christies Auctions at South Kensington in London. Christies has been a strong supporter of Movie Posters and have generally held at least two auctions per year for many years. Their auctions have not been without some occasional controversy and a degree of criticism for a number of issues including condition descriptions, shipping charges etc but they have consistently promoted Film and Entertainment Memorabilia and I hope that they continue successfully with their auctions. One of the strange quirks in the world of movie posters is that occasionally dealers who write guides get criticised for doing so. I would have thought that surely it is better to have as much information out there as possible as opposed to no information at all. My motivation is simply to impart some of the information and experiences I have picked up over the years. Hopefully this will be of benefit to collectors. Perhaps those who criticise the people who take the time and trouble to write useful guides should consider the importance of having accurate information out there to dispel some of the more dubious or mischievous attempts to mislead. Country of Origin Australian posters for Mad Max have often been misrepresented over the years on eBay and other websites. This is probably the result of a lack of knowledge rather than a deliberate attempt to deceive but I though it would be worth compiling a guide so that collectors and prospective buyers will be aware of what to look for. Some of the information comes from one of the biggest collectors of Mad Max memorabilia and I believe that it is as accurate as possible. If you have any more information that you think I should add please let me know and I will be happy to add it. Little is known about the artists for Australian movie posters. In many cases their work remains unsigned. Although it is certainly true that some posters feature very crude and almost childish artwork there are many examples of unique and striking hand litho images. I have started to compile a guide on what I know about Australian movie poster artists. This is a work in progress and I will hopefully add more information when I get the chance. I have started with some of the artists of the 20s and 30s including, of course, John Richardson who produced much of the artwork for the Richardson Studio posters. I have added an Exhibition of Australian posters for Hammer films to the site along with my other Exhibitions of RKO posters, Richardson Studio posters, and Hitchcock posters. You can find them all here. I have plenty of stock to liquidate so keep an eye on the auctions for some bargains. I have had a few retail outlets over the years but they have generally been a bit of a luxury and never really produced a great deal of income. It is a pity that many of the shops, or sections of antique galleries that sell movie posters have pretty much disappeared in Australia. I had a small gallery of posters and memorabilia in the Sanctuary Cove Antique Gallery for over 10 years but when it was recently refurbished I moved everything out. I have started to move a small amount back into the gallery so that at least some posters will now be on display. I also have some plans to start retailing movie posters in a storefront on a much larger scale in the not too distant future. It is always good to be able to actually see and touch the goods rather than rely on descriptions and sometimes dodgy photos. I recently introduced a Blog section on the website and will try to post some fairly regular Blogs and details of any Movie Poster News along with details of my eBay auctions. Feel free to contribute any comments. I continue to add new listings and categories on this website and recently purchased an important collection of very rare Long Daybills. I will be adding these to the site in the weeks ahead. If you ever get to the Gold Coast or Northern New South Wales, I have a radio program twice a week on 94.1fm - Monday 12-3pm and Saturday 3-6pm. I rarely send more than one email per month. If you want to unsubscibe send me an email. Thats it for this month. Good luck with your movie poster collections and if there is anything I can help with dont hesitate to contact me.